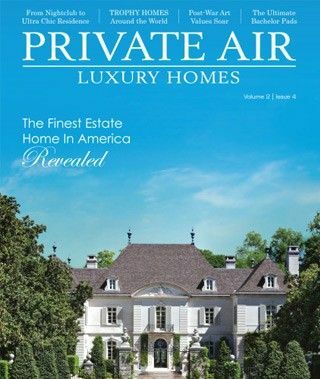 What do you do when your clients don’t want a traditional home but aren’t quite ready for modern? Interior designer Runa Novak, of In Your Space, suggested to the owners of this Basalt home that the perfect solution was transitional style, a design that would juxtapose clean lines with delicate details, masculine materials with feminine curves, formal style with casual elements. “Designing this kitchen was a constant balancing act,” Novak says. 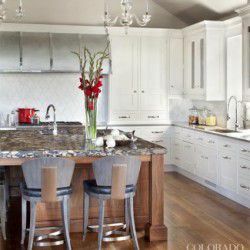 interior-decorators-chicago – A transitional style kitchen with Decorative Materials backsplash, European Marble countertops, Christopher Peacock cabinets. Her first step was to enlarge and open up the formerly cramped and dysfunctional kitchen. “We expanded up and out,” Novak says. “This is the gathering space for a family that loves to cook and entertain.” In designing a new floor plan, Novak replaced a peninsula with a huge walnut island that houses a prep sink, dishwasher drawer and cabinets, along with space for seating and dining. The riveted zinc hood introduces some curvature and texture, spanning the eight-burner, double-oven Thermador range and extra counter space on either side. 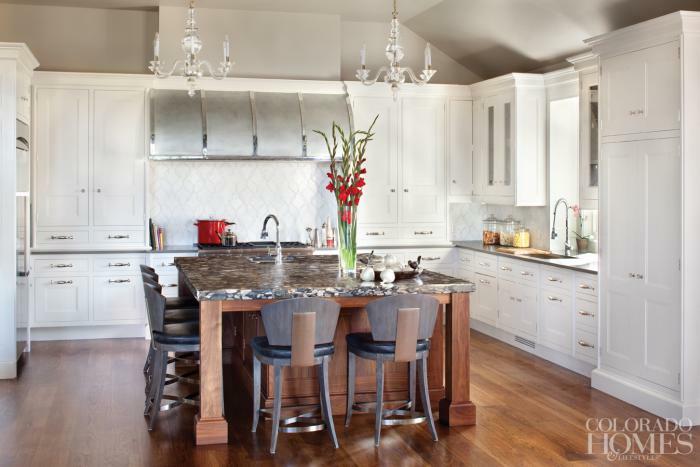 “I like kitchens to be symmetrical around the stove to keep the room balanced,” Novak notes. To that end, she flanked the area with counter-mounted upper cabinets that offer a wealth of storage. Vaulted ceilings allow for the cabinets to soar nine feet high. The Christopher Peacock perimeter cabinetry—solid maple and hand-painted on site—has a Shaker-style profile but is bigger in scale. Because the cabinets are so linear and angular (even the crown molding is stepped), the designer introduced curves to balance the bold geometrics: a swirled water-jet mosaic marble backsplash with ribbons of mother-of-pearl from Decorative Materials; rounded polished-nickel cabinet pulls; a pair of crystal-and-polished-nickel chandeliers. “The chandeliers are large in scale but delicate in design because everything is so bold,” Novak says. Balance a showy granite countertop with quieter material elsewhere, such as the gray quartz perimeter countertops. 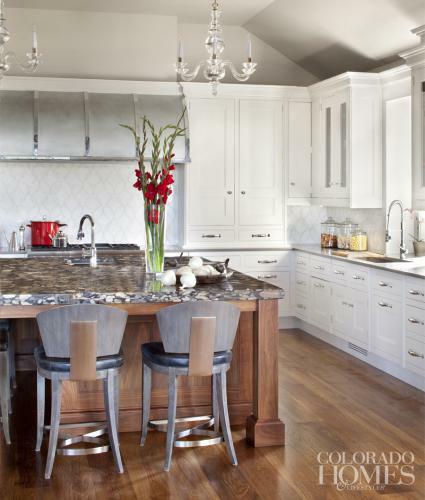 Match the heft of bar stools—these are reclaimed wood and metal—with the island or table they are paired with. Frame a window with matching crown molding and wood paneling to blend in with the surrounding cabinetry. 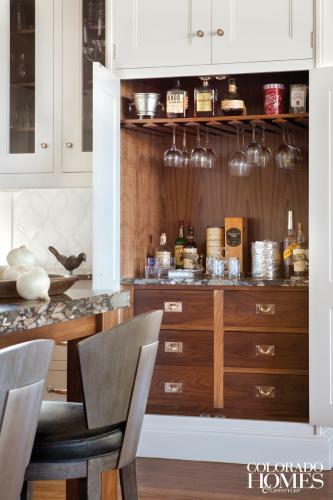 Use darker wood tones inside lighter cabinetry for contrast and drama.